The first reason is that the client did not really want to stop smoking cigarettes. You would think that if somebody came to see us they really did want to quit. Everybody that smokes needs to quit smoking but not everybody wants to. There is a big difference between need and want, for hypnosis to succeed your want has to be bigger than your need. This is where it becomes difficult because sometimes the need can seem to be a want. I try to qualify my clients about this but sometimes they slip through. Bottom line is that if your want is not greater than your need you will start smoking again. 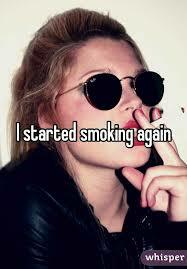 Previous	I SMOKE. WHAT’S YOUR EXCUSE?